Maggie Arnold is an Episcopal priest in the Diocese of Massachusetts, currently serving as Assistant Rector at Grace Church, Medford. 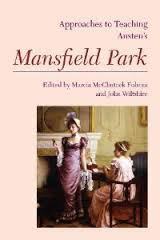 She wrote about the process of discerning a religious vocation in Mansfield Park for the celebration I hosted in 2014 in honour of the novel’s 200th anniversary, and for today’s Emma in the Snow guest post, she’s written about Emma’s efforts at guiding and shaping Harriet Smith’s character and actions. Maggie holds a Ph.D. in Religious and Theological Studies from Boston University and she’s currently revising her dissertation, “Mary Magdalene in the Era of Reformation,” for publication. Her research interests include early modern women and religion, and the intersection of religion and art. She also has an MFA from the University of the Arts in Philadelphia, specializing in the art and history of the book form. Maggie grew up in Halifax—she and I read Pride and Prejudice together in our high school English class—and she currently lives in Brookline, Massachusetts. I didn’t add any photos of snow to last week’s guest posts on food, although my husband, after he read Dan Macey’s post on “Discovering Mutton in Emma,” very thoughtfully sent me a photo of a cover for Sheep Industry News featuring sheep in the snow— with “Mutton in the Snow” as the email subject line. Since we’re setting mutton and gruel aside for the moment (we’ll come back to the strawberry-picking scene and other food-related topics in Emma later in the series), for Maggie’s guest post on spiritual direction I thought I’d choose a photo that includes some snow. It’s hard to photograph “spiritual direction”—and I don’t have any photos of “Spiritual Directors in the Snow”—so I decided on a picture I took when I was in Calgary last month, of the view from the Peace Bridge, because I liked the connection between the themes of spiritual guidance and peace. Emma Woodhouse makes a series of experiments in directing the development and conduct of her protégé, Harriet Smith, all of which end disastrously. Her inclination for these projects may have been formed through a youth in which she had to manage her father’s many anxieties in order to achieve domestic harmony and a measure of freedom for herself. And, as she herself admits, she takes credit for the successful match between her governess, Miss Taylor, and Mr. Weston. So both long habit and recent encouragement have prepared Emma to try her skills with a new subject. The formation and guidance of another’s character and actions have a long history in the Christian tradition, as the practice of spiritual direction. This kind of pastoral care began with the Desert Fathers and Mothers of fourth-century Egypt, and evolved through medieval Benedictine and Cistercian monastic culture, and the Jesuit confessors of the Catholic Reformation. The practice also continued in Protestant communities, in which the laity were empowered to offer one another counsel through mutual study of the Bible and other devotional works. Spiritual direction today draws on this heritage and incorporates insights from contemporary psychology. Typically, a person contemplating a decision or seeking a mentor will approach an authoritative figure, someone known for wisdom and experience in prayer and discernment. (For one such process, see the first chapter in The Lived Experience of Spiritual Direction, edited by Rose Mary Dougherty.) The counseling relationship usually consists of conversations, with assignments of particular tasks in between these, perhaps reading and different kinds of work, self-discipline, prayer, or imaginative contemplation. Emma’s failures with Harriet serve as a comic illustration, by counter-example, of many of the ideals of spiritual direction. The irony is that Emma claims, to herself and others, to be following traditional principles of spiritual direction: the formation of another for making good decisions, elucidating the directee’s own God-given gifts. As she selects Harriet for improvement, Emma’s professed goal is “decision of character” (Chapter 6). Her intention is to educate Harriet by conversation and instructive reading. Emma maintains that she will merely draw out what is naturally good in Harriet, rather than influencing or altering her behaviour unduly. Both Emma and Harriet herself acknowledge that it is Harriet’s own decisiveness that is desirable. When Harriet is desperate for advice on how to reply to Robert Martin’s first proposal, Emma ostensibly refuses, “Oh, no, no; the letter had much better be all your own,” and Harriet eventually admits that “one’s mind ought to be quite made up” (Chapter 7). Of course, as the reader observes in their exchange, Emma actually manipulates Harriet into crafting the response of Emma’s choice. In addition to the effect of painful mistakes, Emma learns about spiritual direction from two examples, one positive and one negative. Mr. Knightley presents several ideals for offering good guidance. He speaks clearly in determining the needs of others, and helps Emma to do so, as when their simple communication prepares for Mr. Woodhouse’s quick departure from a dinner party on a snowy night. (Nora Bartlett and Deborah Knuth Klenck have also discussed this brief conversation in their guest posts for “Emma in the Snow.”) When he criticizes Frank Churchill’s confusing behaviour, Mr. Knightley confirms that consistency and honesty are his own principles, noting their power to impress and persuade others (Chapter 18). Mr. Knightley is true to himself, and knows that is the only way to engage others with integrity. Mrs. Elton, by contrast, shows Emma a repugnant example of someone who is overbearing and insensitive, with her tone-deaf meddling in Jane Fairfax’s affairs. Mrs. Elton ignores Jane’s expressed preferences—to collect her own mail and to choose her time to apply for employment—and instead decides what is best for her (Chapters 34 and 35). Not only does Emma turn from her previous approach to managing Harriet’s romantic hopes, she gains self-awareness by applying the principles of spiritual direction and discernment to her own life. She begins haltingly, trying to assess her emotions about Frank Churchill. Reflection on one’s desires as a means of deliberation is a legacy of the Ignatian examen, the Jesuit practice of daily self-interrogation. Emma ultimately decides that Frank’s character, unlike her own, is not really worth a serious attempt at understanding and judgment. Because she does not intend to marry Frank, she need not evaluate his character, but she recognizes that an accurate self-knowledge is crucial for right action. By the conclusion of the story, Emma has arrived at a true and humble self-assessment. She agrees with Mr. John Knightley, that “the good fortune of the engagement” between her and Mr. Knightley is all on her side, though she hopes to become better by further study (Chapter 53). The prospect bodes well, for her new insight has already prompted kinder treatment of Miss Bates, a growing friendship with Jane Fairfax, and a marriage of, as Mr. Knightley proclaims, equal worth and happiness. Austen, Jane. Emma. New York: Bantam Classics, 1981. Dougherty, Rose Mary, ed. 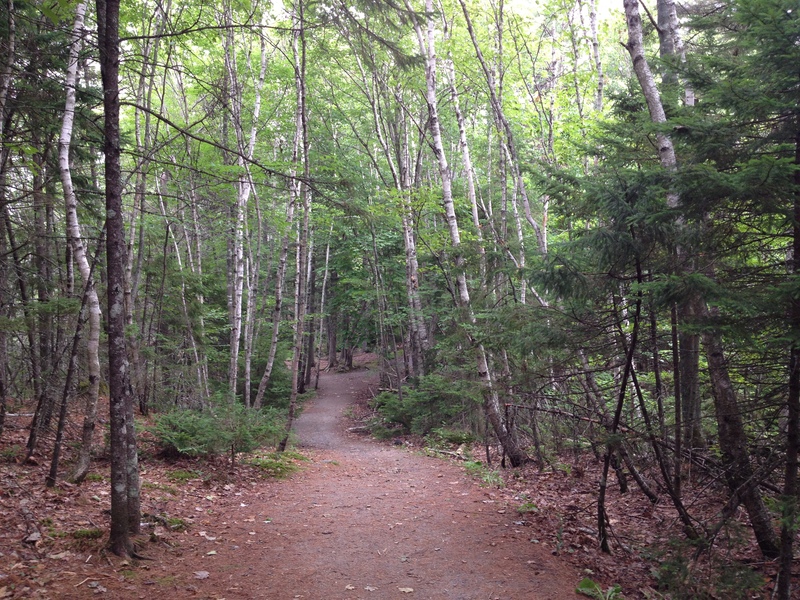 The Lived Experience of Spiritual Direction. New York: Paulist Press, 2003. Fischer, Kathleen. Women at the Well: Feminist Perspectives on Spiritual Direction. New York: Paulist Press, 1988. Gratton, Carolyn. The Art of Spiritual Guidance: A Contemporary Approach to Growing in the Spirit. New York: Crossroad, 1993. Ignatius of Loyola. Spiritual Exercises and Selected Works. Edited by George E. Ganss, S.J. The Classics of Western Spirituality. New York: Paulist Press, 1991. Seventh in a series of blog posts celebrating 200 years of Jane Austen’s Emma. 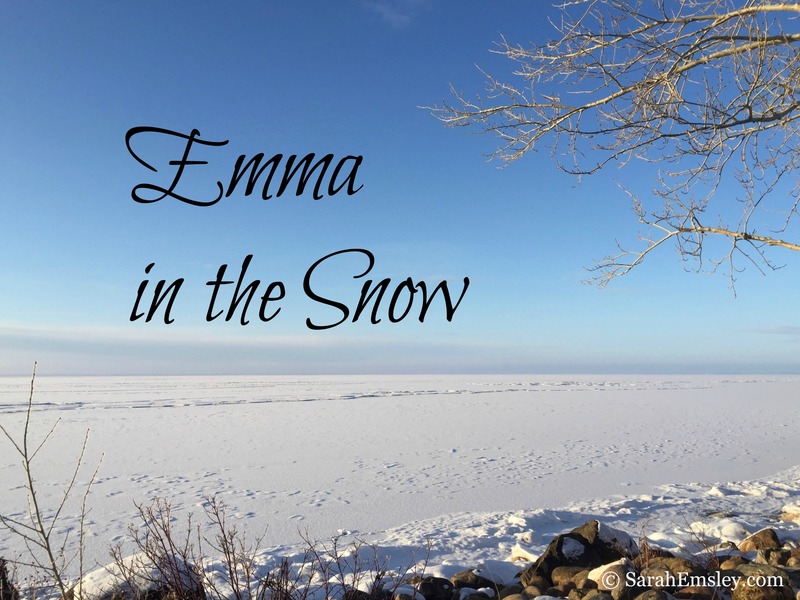 To read more about all the posts in the series, visit Emma in the Snow. Coming soon: guest posts by Mary C.M. Phillips, Diana Birchall, and Janet Todd. “Spiritual DIrector” is perfect. So much nicer than “bossy”! Maggie’s sympathetic reading of Emma’s stumblings into self-understanding–discernment–is spot-on. Thanks, Deborah! Sympathetic reading is a great description of most of the work of spiritual direction. As a seminary grad myself, I find this an interesting take, though I think you are a little more generous towards her characters than Austen is! Maggie, I’m so happy to have been looking at the weekly email notice from Grace and, despite time constrictions, to not have been able to resist reading your blog. Emma is my favorite of Jane Austen’s protagonists. You did her justice. If you want a picture of a spiritual leader in the snow, sometime this winter have someone take a photo of you in front of Grace Church! Thank you, Adele! Emma was the first Austen book I read, and has remained a favourite. Emma as a “spiritual director” – what an original idea! The first thought that crossed my mind was of “the blind leading the blind,” 🙂 but you do provide a nuanced picture of personal growth in spite of our heroine’s many blunders. I like the notion of “spiritual companionship,” for which Emma and Harriet’s walks together might be seen as a metaphor. Now, as Mr Knightley points out, Harriet “knows nothing herself and looks upon Emma as knowing every thing,” which doesn’t seem very promising in that respect – “How can Emma imagine she has any thing to learn herself, while Harriet is presenting such a delightful inferiority?” Emma, on the other hand, though clever and assured, “will never submit to any thing requiring industry and patience, and a subjection of the fancy to the understanding.” Her “doctrines” do not “give any strength of mind, or tend at all to make a girl adapt herself rationally to the varieties of her situation in life.—They only give a little polish.” Harriet’s “improvement” would be superficial at best: all she needs is “a little more knowledge and elegance” – getting rid “of her schoolgirl’s giggle,” for instance. She’s naive and docile, and what her friend calls “decision of character” comes dangerously close to thoughtless compliance. The blind leading the blind — well said, Monica, especially in light of Mary’s guest post today on “The Blinding Power of Pride.” Interesting questions about what it means to shift from friendship to “a calmer sort of goodwill.” I’m glad you enjoyed Maggie’s contribution to the series. Thanks also for your comments on last week’s posts by Dan and Catherine.